First I got the keas comfortable targeting to my feet and my legs…then I introduced the target stick…eventually I hope to get a “weave” thru my legs! 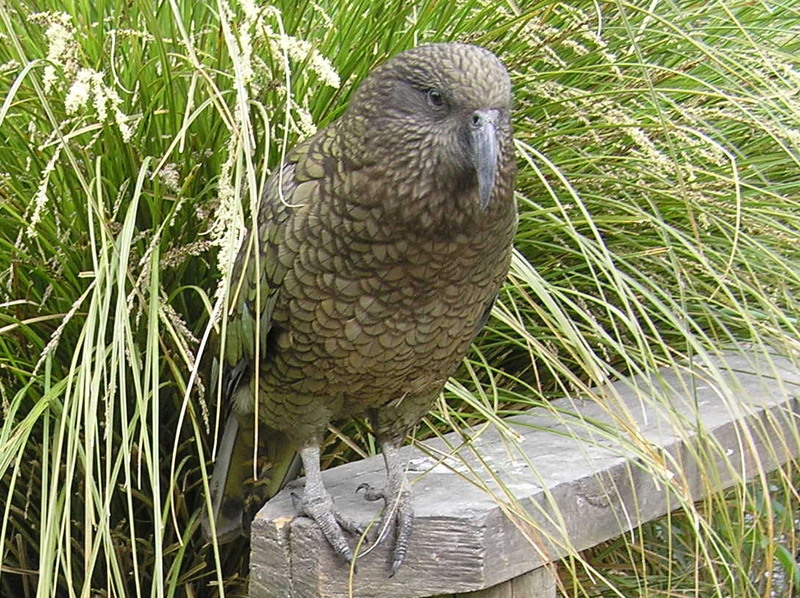 All the keas enjoy finding new things in their environment. These colorful, plastic toys were a big hit. It took about one minute to get them all out of the wagon! The keas showed no interest in putting them back in the wagon, but did like dragging them around and testing them for durability. All the keas want to work, sometimes forgetting the rule about not “mugging” the arm position! 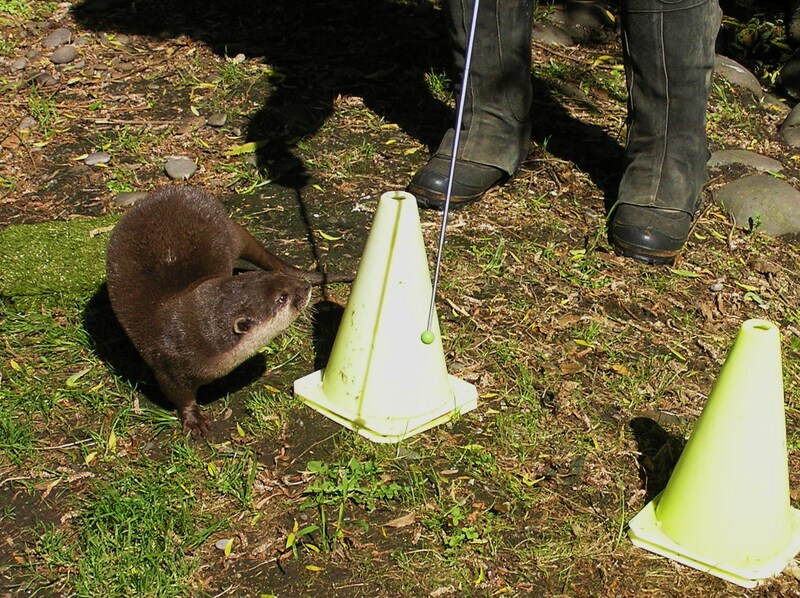 After only a few sessions, Ollie is happily targeting to a stationary mat and following a target stick. The mat can now be placed on a scale and Ollie can be easily weighed. He also knows verbal cues like “up”, “down” and will be able to go to his “mat” from a distance. Spins and twists can be cued with the target stick or a hand motion. 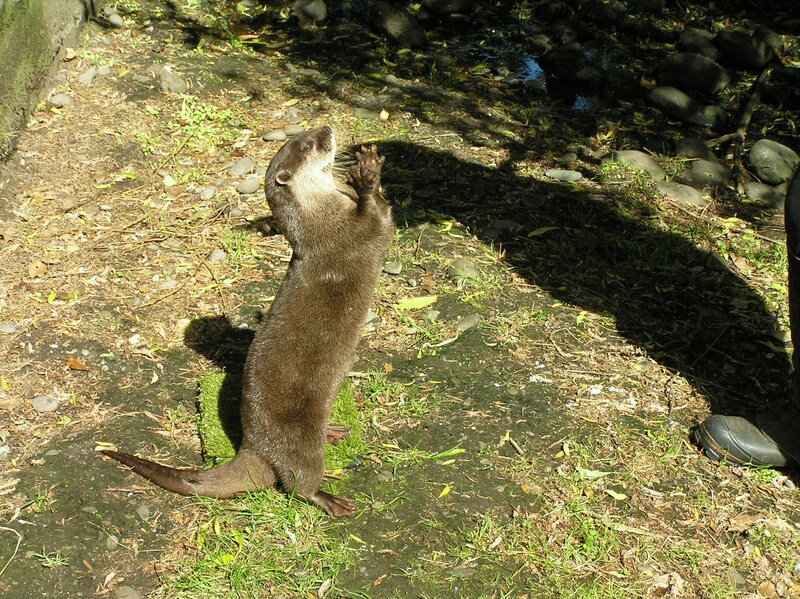 Prior to enrichment and training, aggression was an issue between the 3 male otters. When I first started working with them, they would also hiss at and charge me (sometimes latching on to my shoes with sharp teeth)! This no longer happens! Here is a video of Rugby, who has flown on to my arm. He does a turn and with a physical cue of me lifting my arm, lifts his wings up. This is Eva, the smallest female and the shyest of all the birds. 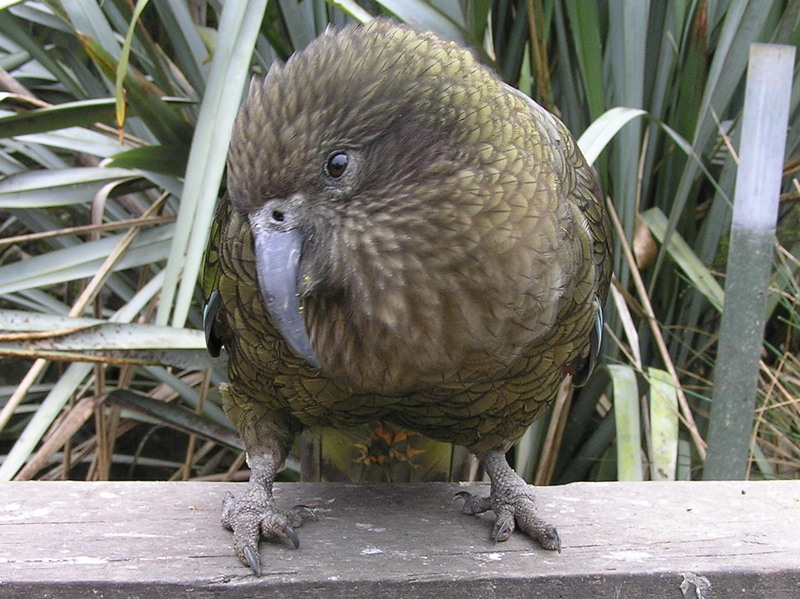 Kiki can hold her own against the 4 male keas! She is keen to play with me and quick to learn.